We are in the process of moving emails from the old server to the new. by using your email address and password - which did not change. In High Sierra, open Apple Mail - go under the Mail menu to Preferences. 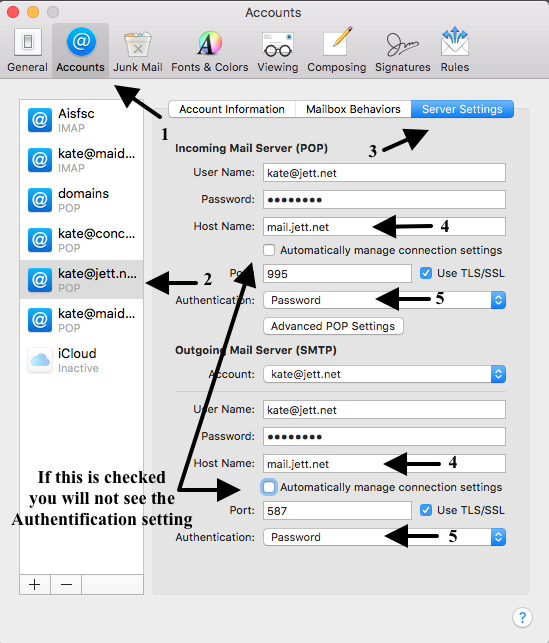 2- Select your jett email address from the list on the left. have slightly different preference windows but the settings are the same.